Once upon a time, there lived a poor woman and her son in Seville, Spain. This boy’s name was Juan and he had a dream of becoming a famous bull fighter. 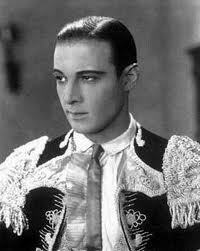 So, he pursued his impossible dream against his mother’s wishes and became one of the most prominent toreador’s in all of Spain. When became famous, he won the heart of and married his childhood sweetheart Carmen. Oh, that it were that simple. Instead he then met and fell in love with Dona Sol, the daughter of the Marquis (aren’t they always). Ultimately, he finds himself in a love triangle that threatens to destroy his marriage and his hard-fought fame. No, this is not the thinly veiled story of my life. 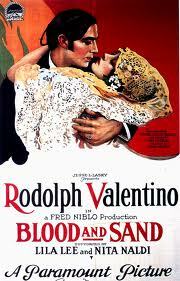 It’s the plot of the 1922 film Blood and Sand starring Rudolph Valentino and the namesake for today’s vintage cocktail. This early cocktail was created to tie into the movie, but didn’t appear in a cocktail manual until the Savoy Cocktail Book in 1930. In the original version of Blood and Sand, blood orange juice was used to closely tie into the themes of the movie and provide a more claret appearance, but most recipes, including today’s, simply use regular orange juice. This substitution results in a an orange-brown libation instead of the more dramatic ruby color. 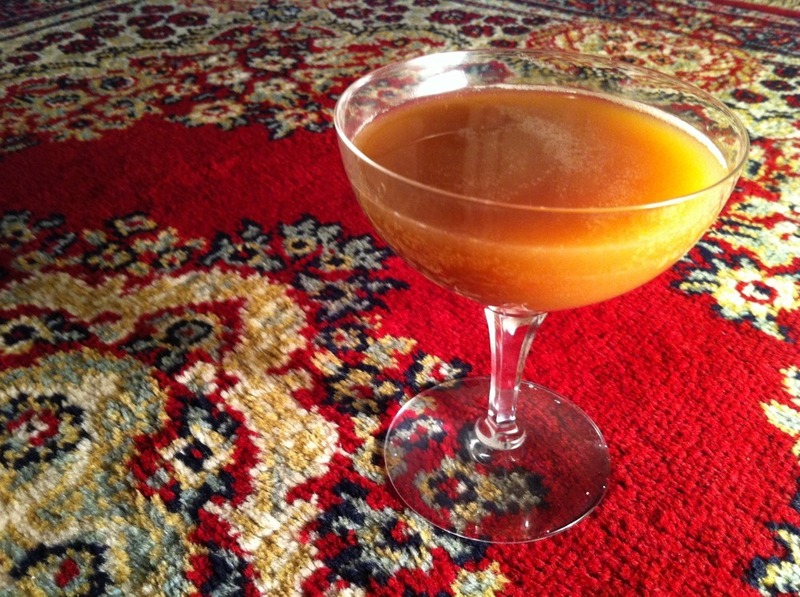 The Blood and Sand is one of very few cocktails that utilize scotch as a component. For those of you that have tasted scotch, you know that it has a very pronounced flavor that doesn’t usually play well with others. This libation is certainly an exception. My first time tasting a Blood and Sand was at the modern speakeasy Prohibition here in Atlanta. I was skeptical, but have loved it from the first sip. When carefully measured and combined, it has subtle smokiness that pairs well with the rich orange and cherry flavors of the other components. However, this is a cocktail that can be easily modified to fit your taste profile. So, start with the recipe below and let your imagination run wild. Who knows? You just might discover a cocktail that is more dramatic than a bull fight? Combine all ingredients in a cocktail shaker with ice and shake vigorously until well chilled. Strain into a cocktail glass. Garnish with either a cherry or orange peel.